There are many free sources of white noise, ranging from household appliances to Apps and simple online players. Some require an internet connection at least to begin with, but most Apps, and audio downloads of course, can then be listened to offline. In this article, I’ll be recommending some of my favorite options. Please note that there are no paid links. 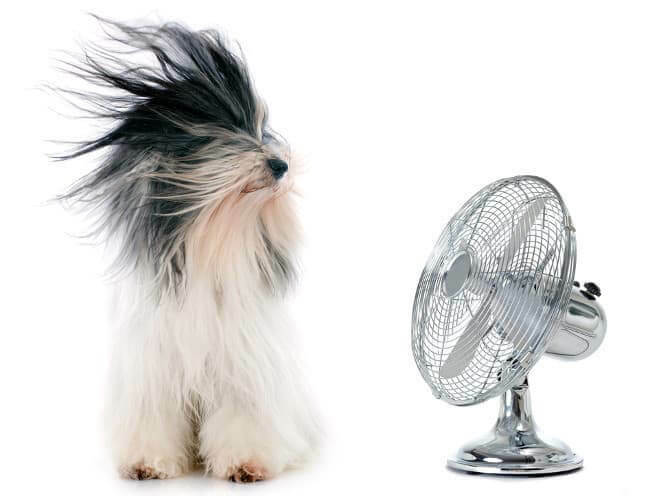 A fan. A favorite of many people, especially in warmer months. An untuned television channel. This sounds too intense for many people though, and emits light. An unused radio frequency. Again, only some people will like the intense noise. Other appliances like a hoover or hair dryer. I don’t recommend these. Neither your ears nor your next energy bill will benefit from them. Waterfall, rain or ocean sounds on YouTube or Spotify. You can find 8+ hour recordings. I personally like this option: after all, it’s white noise created by a maestro – mother nature. 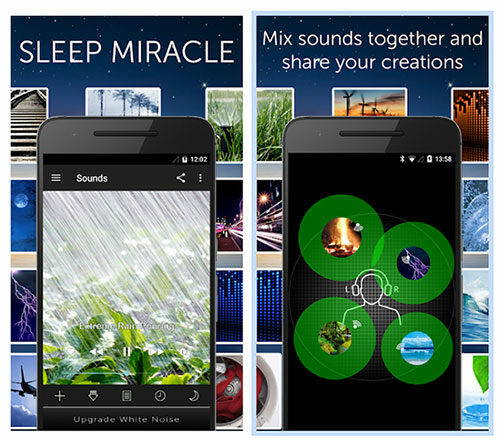 There are a large number of white noise Apps on both Google Play and iTunes. Many of them are free, and only have a paid version to remove adverts, access more sounds or special features. But in my opinion, you can find great white noise and nature recordings without paying anything. 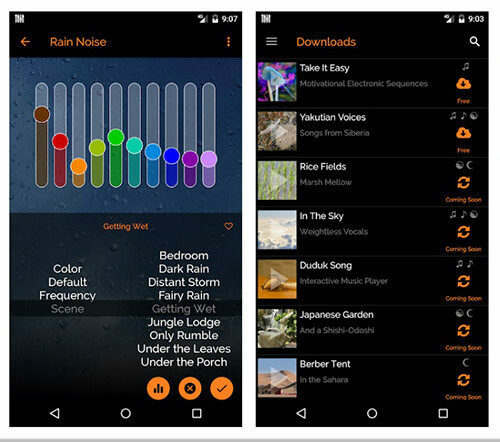 White Noise Lite has a beautiful interface, with a huge selection of high-quality nature sounds to choose from. It has an excellent mixing feature, allowing you to combine up to 5 sounds and adjust their individual volume, pitch, variance and speed. You can even upload your own recorded sounds to add to your mixes, and then share them with others. The paid version allows you to access other people’s recordings and mixes. As an example, my current favorite mix features the Amazon jungle, with a quiet campfire and wind chimes. 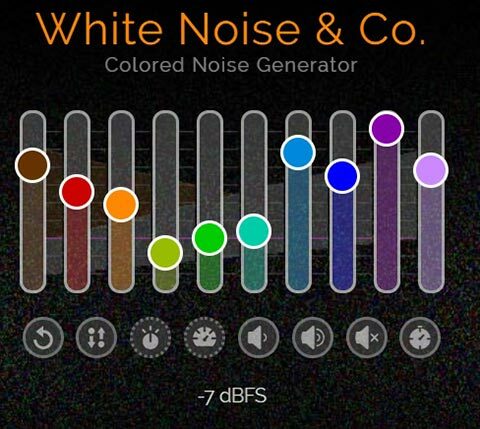 The Relaxio white noise generator allows you to play one or more nature sounds at once, with two different types of white noise. It’s as simple as you can get, with a pretty visual interface giving you control over the type and volume, and options to save your favorite mixes. It does have ads at the bottom of the screen though. 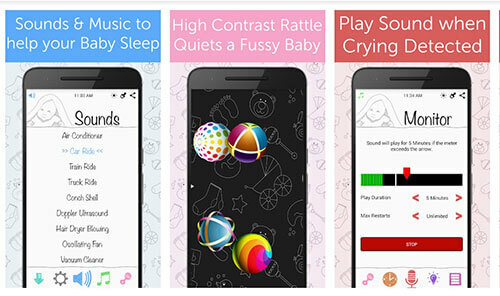 White noise baby offers a range of white noise sounds for parents to play, with several timer options or continuous play. It recommends different sounds for newborns, infants, toddlers and parents, with a decent range of white noise types. It has an interesting feature of including a monitor that listens out for a child’s crying and plays a sound automatically if you want it to. And there’s a sceen rattle to use during the day, with visuals and sounds to entertain them. MyNoise is a white noise generator that gives you the ability to adjust the sounds to your liking. So within the white noise setting, you have 10 sliders to alter the amount of bass, mids and trebles you hear. Along with the main category of white noise, you have rain, spring walk, temple bells and a warp speed for sci-fi fans! It even has a binaural beat machine which is fun to experiment with and not seen in most white noise Apps. My only complaint is that the volume seems quite low. But with headphones or for quiet listening, it’s a great free App. Simply Noise does exactly what the name implies – plays simple white noise right on its website. It has 3 buttons – white, pink and brown noise and a large volume slider. You can select to oscillate the volume too, which is strangely hypnotic. There’s a sleep timer, a nice feature for a free site, and some ads to buy their Apps. And that’s about it – simple white noise and not a lot else. My Noise is the website version of the phone App listed above. It has a simple sound mixer with sliders to change the frequencies, so you can play around with it to find the exact sound you want. It also has a number of presets, such as white, pink and brown noise, and even a speech blocker. It’s free to use, though they will ask for your email after a set time elapses. White Noise Player by TMSOFT has just 6 simple sound color buttons and a volume slider. The max volume is pretty good too, which makes this a useful player. It has the usual white, pink and brown noise, but also offers grey, blue and violet for some variety. 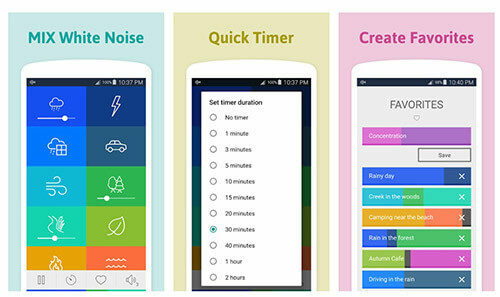 TMSOFT also make some good white noise phone Apps, which you can find out about on their website. 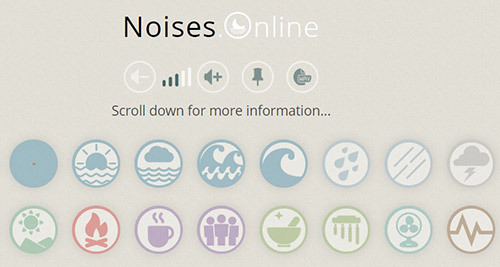 Noises Online is a free online white noise machine that looks pretty and has a superb range of sounds to choose from – 30 at the time of writing. By clicking each icon you can add more sounds to your mix. So if you want the sound of an ocean with some thunder, rain and birds to go with it, you can have it. You can also experiment with the liveliness and tone settings, and save your favorite mixes. It’s simple, full of high-quality sounds and a delight to use. Do you have a favorite App, website or other sources of white noise I haven’t covered? Let me know in the comments below. It is the best suggestion to have a sound sleep. Thanks for your comment – and yes, white noise can be very helpful! Thanks for the suggestions! I like those online players you recommended – it’s cool to be able to adjust the white noise, and funny how a small change makes a big difference to how relaxing I find it. Thanks for your comment, and I’m glad you like the ideas. I agree with what you say about the adjusting of the white noise sound being important. You wouldn’t think so, but it does seem to be something you can get just right.